Established in 1985, the Confederation of Roofing Contractors (CORC) is the premier roofing trade association in the UK. CORC members are considered to be the best roofing contractors in the business. Roofers who decide to join the Confederation of Roofing Contractors will have access to a range of benefits, including legal advice, roofing insurance and member support services. 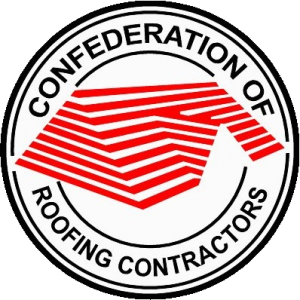 Details of members of the Confederation of Roofing Contractors (CORC) are displayed on the CORC website for property owners to find a roofing contractor for their next project. Members contact details; services and coverage are displayed – along with a link to members own website from the CORC website, allowing regular leads to be passed onto the contractor. The Confederation of Roofing Contractors (CORC) membership allows contractors to offer their clients a 10-20 year insurance-backed guarantee and deposit protection. The CORC insurance-backed guarantee is exclusive to members of the CORC, offering an extremely competitive solution for contractors. All members of the Confederation of Roofing Contractors are automatically registered with Peacock Insurance. There is no joining fee and nothing to pay, apart from the cost of each IBG. CORC members are able to obtain legal advice from solicitors specialising in Construction Law. Members are entitled to a free initial assessment of any issues that they wish to discuss with a specialist solicitor. The CORC have in-house facilities to credit check all individuals, limited, and non-limited companies. For a small charge the CORC will complete the checks for you and present you with an up-to-date report – which could save you money and financial risk when considering working on a project that could represent a large financial outlay for your business. As a member of CORC you are able to take advantage of a discounted rate to join CompetentRoofer. These are just some of the benefits of membership, we are adding more each month.